Our Gibson Performance UTV Single Exhaust for 2008-12 Kawasaki Teryx 750,/750EFI provides superb power and in particular quiet operation. 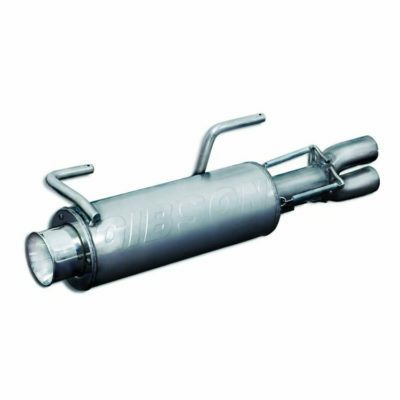 Also, Gibson mufflers feature a uniquely louvered and chambered internal muffler core … no internal packing. Gibson incorporates rubber mounting points and a compression spring fitting, allowing for extreme flexibility during the toughest terrain. Finally finishing with a mirror bright polished T304 Stainless exhaust end cap. Furthermore, with a rear wheel horsepower gain of 7 hp and improved acceleration you will be guaranteed to have the top performing Side by Side on the market! In fact, this is a direct fit replacement and includes all hardware for a hassle free bolt on installation. Of course, a USFS Approved Spark Arrestor is used. 2.5-in. Polished T304 Stainless exhaust end cap? Of course! Gibson Mufflers feature a louvered & chambered design, no internal packing. 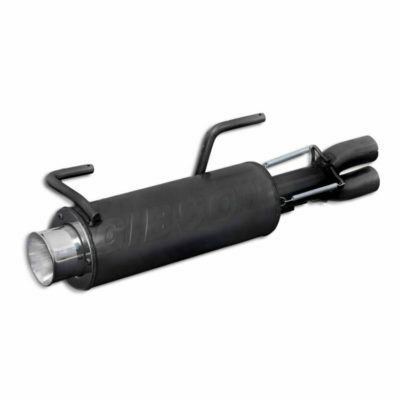 Includes a USFS Approved Spark Arrestor.